Barton Court has its origins in the Middle Ages but was thoroughly overhauled in 1780 by a local squire. He added the elegant Georgian front elevation and landscaped the gardens and surrounding fields to make the graceful property we now see. The house has been recently refurbished to improve the facilities and now offers plenty of good bathrooms; spacious bedrooms and a well equipped kitchen as well as the stunning period reception rooms. It sleeps up to 24 in 10 bedrooms with 9 bathrooms and 3 cloakrooms. As well as the stunning drawing room, there is a library and a formal dining room. Outside, the grounds are mostly laid to lawn with a series of garden rooms for privacy and variety. The old tennis court and croquet lawn - reached by the house's very own bridge - will be renovated during 2017. The lovely ponds, sheltered by mature trees are fed by Malvern spring water which spurts high into the air from the ornamental fountain. 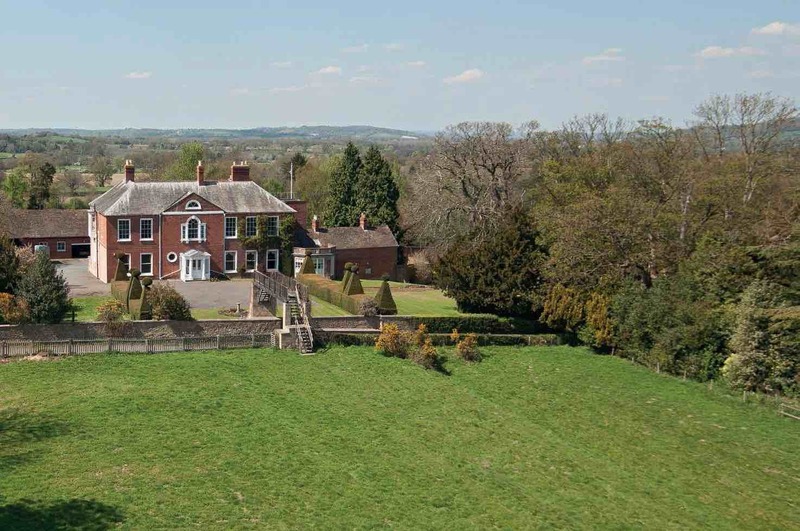 Barton Court is on the edge of the village of Colwall between Malvern and Ledbury. It is surrounded by beautiful countryside and is a haven for walkers and cyclists. Malvern is a busy town with plenty of restaurants, shops and entertainment. Its' theatre is known for pre West End runs and has a full programme. Ledbury, an attractive town with a medieval centre, is something of a design mecca, featuring Tinsmiths, Hus and Hem and Roger Oates amongst it shops. It also offers a selection of excellent delicatessens and butchers. In order to secure the house, you will need to pay a non refundable 50% deposit with the balance and a refundable �250 damage deposit payable 6 weeks prior to your arrival.